It's December, my favorite time of year, when all the students and teachers cheer the holidays are ALMOST HERE! 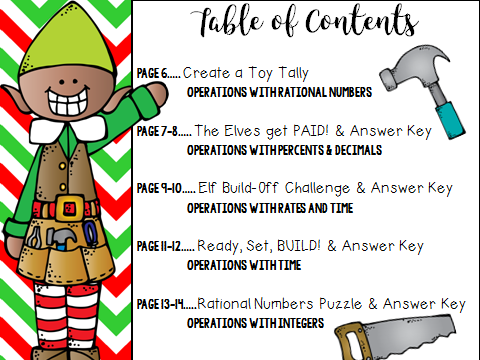 It's also the time of year when I'm overloaded with lots to do, so if you're like me and would like some fun Math activities to give your students during this busy time of year I have solution for you! This is a fun and engaging packet full of math review for Middle school students. These Christmas Holiday activities are centered on an ELF theme. Each activity is engaging, using HIGH QUALITY graphics, word problems, puzzles, or just fun review for students. There are 5 different activities as listed above. Each activity has an ELF theme. 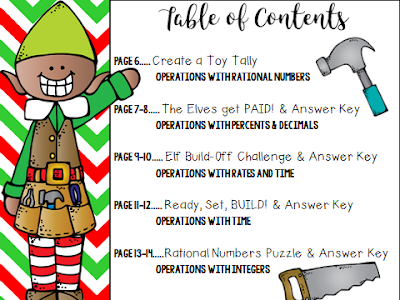 Included are Math activities with operations with rational numbers, operations with percents and decimals, operations with rates and time, operations with time, and operations with integers. 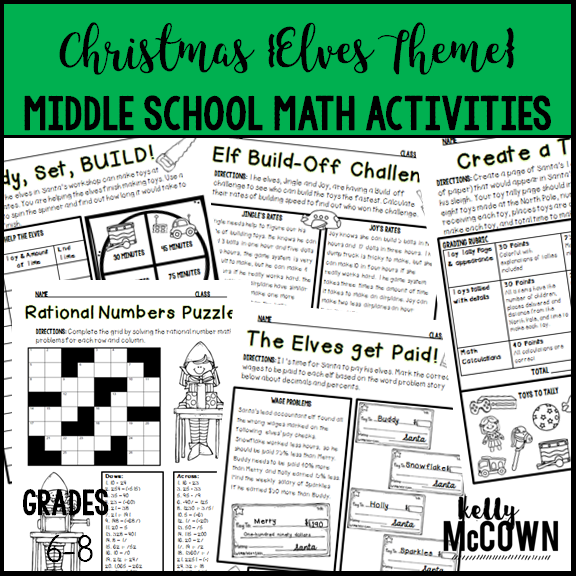 All of these activites are a great review for any Middle School Math student for the holidays. All of the worksheets have an answer key included. 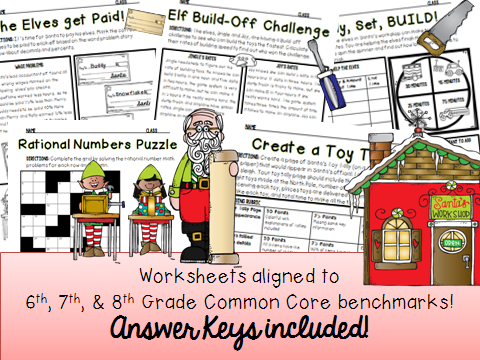 Also I have aligned these activities to fit with Common Core Benchmarks that you may be covering or reviewing for each grade level 6, 7, and 8. I hope these activities help to keep your students active and engaged in Math during this holiday season!